So sorry for your loss and may you find comfort in the soft coat and warm heart of Miss Heather. We have been reading your blog for awhile now, but have never left a comment. We are so sorry for your loss. 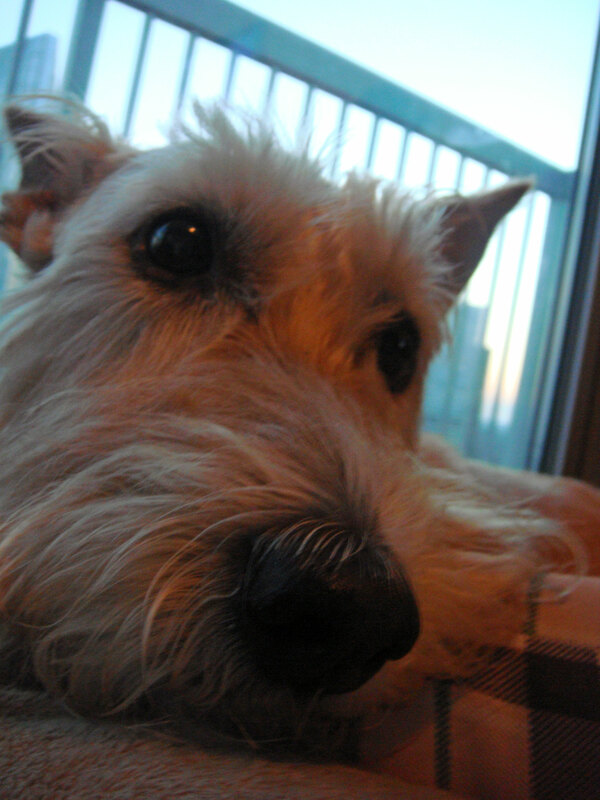 Please let your good memories comfort you, and take all the Scottie kisses you can. Very sorry for you loss, keeping you in our thoughts. Lots of scottie love coming you way! We are so very sorry to hear of your families loss. I'm with you. If you need a surrogate Scottie great-granny, I'm available. You can even call me Great Grandmadre-I was a product of a Mexican puppy mill. Puedo hablar espanol. So sorry to hear about your loss, lickies and waggles from Dougall. Hottie and I are so very, very sorry for your loss. So sorry for your loss...your Scotties will keep a close watch on you if you're sad, it's just their way. I hope you and your family are blessed with many happy memories of your great-grandmadre to get you through this time.